Cash rules everything around me, C.R.E.A.M. get the money. Dolla, dolla bill y'all! It's that time of year again when we here at Celebrity Net Worth break down the richest rappers on the planet. It's hard to believe that it's already been a year since we released our last list and, as you can imagine, the last 12 months have been very good to hip-hop's royalty. Apparently no one told these rappers that the music industry is dying because these hip-hop Kings (and one Queen) of cash are raking it in like never before. Hip-hop artists have proven to be particularly skilled at adapting to an ever-changing musical landscape. As physical album sales become less and less relevant to an artist's bottom line, rappers are branching out faster and further than any other musical genre. Rappers simply cannot rely on record company advances and future album sales to boost their bank accounts anymore. Successful rappers today have discovered that they need to be selling merchandise, signing product endorsements, producing albums, and most importantly TOURING nonstop. It's a lot of hard work, but as the list below proves, the hard work can definitely pay off. Big time. Not surprisingly, the upper echelon of rap moguls are crushing it like never before today. As Diddy, Jay-Z, Dr. Dre and Birdman prove, once you attain mogul status two incredible things happen: 1) Your money starts to grow exponentially. And 2) Your money grows exponentially without requiring you to lift a finger. Rap moguls hardly even need to release albums anymore. They definitely don't need to live on a bus touring the world 200 days a year (unless they want to). Today's hip-hop cash kings aren't merely rappers. They are empire builders. They have the ability to watch their money pile up from the comfort and luxury of their very own private jet/island/yacht. Ok enough, delaying. Let's get into the numbers. Not only is the doctor in the house, he's also in the bank vault stacking up gold bars. In the last 12 months, no rapper earned as much money as Dr. Dre. As you might have guessed, the vast majority of Dre's $140 million net worth jump is related to a little company called Beats By Dre. Dre founded the company in 2008 with Interscope chairman Jimmy Iovine. They sold half the company to HTC in 2011 for $309 million. In 2012, Dre and Jimmy bought a quarter of that stake back for $150 million. In September 2013, private equity firm Carlyle Group purchased HTC's remaining 25% stake plus another 25% stake (again leaving Jimmy and Dre with 50%). This investment valued the company as a whole at $2 billion which meant Dre's stake was worth $500 million. 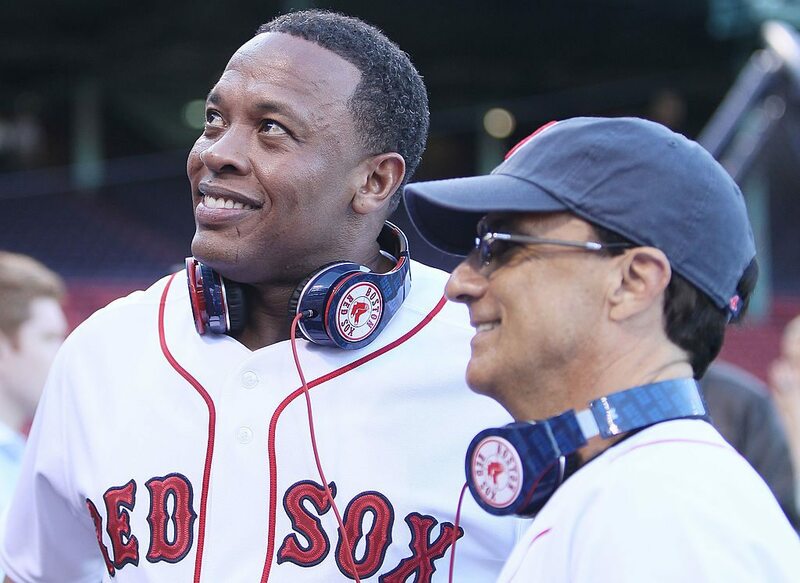 Beats by Dre is rumored to have generated $1.4 billion in revenue in 2013. When Apple purchased Beats, Dre Dre's stake was worth $750 million before taxes. Up until May 7, 2014 Diddy was the richest rapper in the world. He was also officially the first rapper in history to crack the $700 million net worth mark. Diddy's net worth increased $120 million in the last year. This massive boost in net worth can be attributed in large part to his 8 figure endorsement deal with Ciroc Vodka and the growth of his cable net work RevolTV. He also continues to benefit from his long-established fashion and media empire. Diddy actually owns a significant piece of equity in Ciroc, which was recently valued at $1 billion. If Ciroc sold today, Diddy would reportedly earn $150 million. But it doesn't stop at vodka. Recently it was revealed that Diddy and a group of investors bid $200 million to purchase Fuse TV from the Madison Square Garden Company. 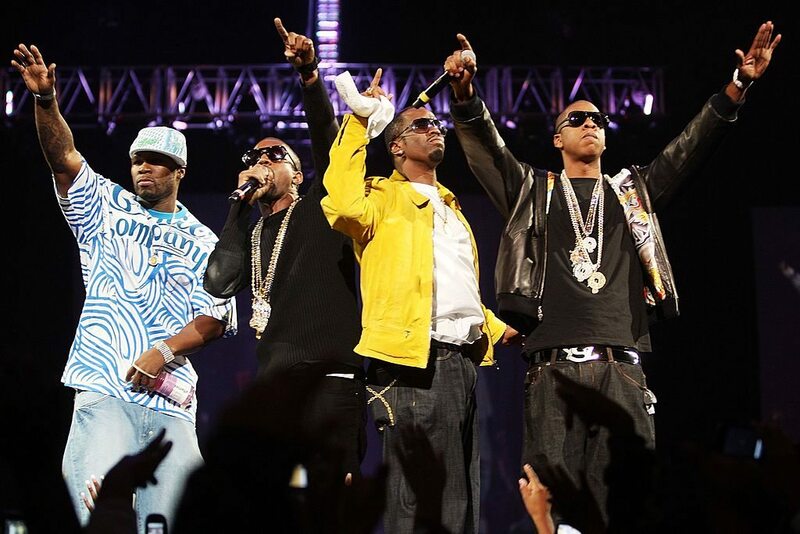 Diddy wants to combine Fuse TV with a cable channel he already owns called, Revolt TV. The combined new network would be a home for music, news, interviews and live music. Jay-Z continues to cash in on his 10-year, $150 million Live Nation deal which last another four years. His Magna Carter tour put $10 million in his pocket and he also earned $5 million from digital sales. In the last 12 months Jay sold his stake in the Brooklyn Nets and launched Roc Nation Sports, a sports agency in partnership with Hollywood powerhouse CAA. Roc Nation Sports has already cut deals for superstar athletes like Robinson Cano, Victor Cruz and Kevin Durant.